What’s up with the goats? 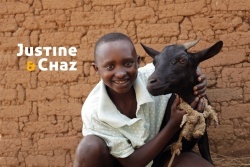 Goats of hope is our first successful crowd funding project. 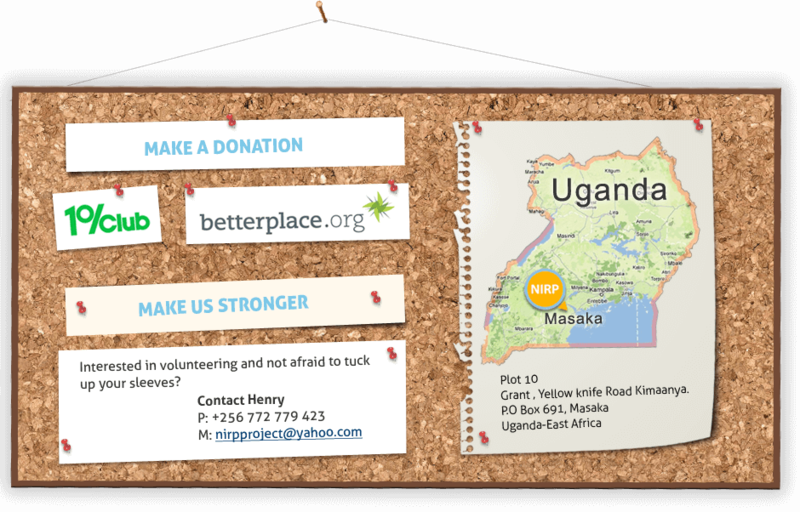 Thanks to the help of all the donations from the members of the 1%Club and Betterplace this project has become a huge success. With your money we purchased 50 goats. Not only are they a meaningful gift to vulnerable families and children in rural communities. With the right training these goats mean: milk, meat and income for the orphans and their families. Thank you again for all your support and donations. and monitoring and evaluation of the project. PROJECT GOALS COMPLETED, Thanx everybody! Take a look at the video to see what we have achieved. Accomplished! Empowering woman is very important as mostly the men are not around. Many grandmothers shoulder the burden of looking after orphans and other needy children when their parents die of HIV and AIDS at a very young age. Accomplished! With the Mulira orphanage and education centre NIRP tries to restore hope and care for AIDS orphans and abandoned children in the Community.